If I were to tell you that on the hundreds of miles of former C&O trackage between Cincinnati, OH and Norfolk, VA there is still an island of C&O signaling with 3-4 track signal bridges displaying all the quirky old C&O signals, would you believe me? Well you should, but not for much longer because it appears that despite plunging coal revenue and threats to downgrade the Cardinal route to 25/30mph operation, CSX has nevertheless found some money to make sure not a single signal without a Darth Vader helmet survives. 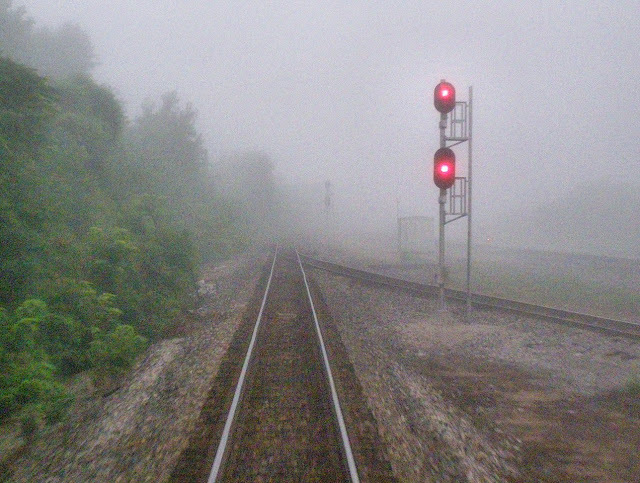 The existence of this strange island of misfit signaling is due to CSX's efforts to close RU CABIN, which controlled the eastern end of the giant Russell Yard complex, around the year 2000. 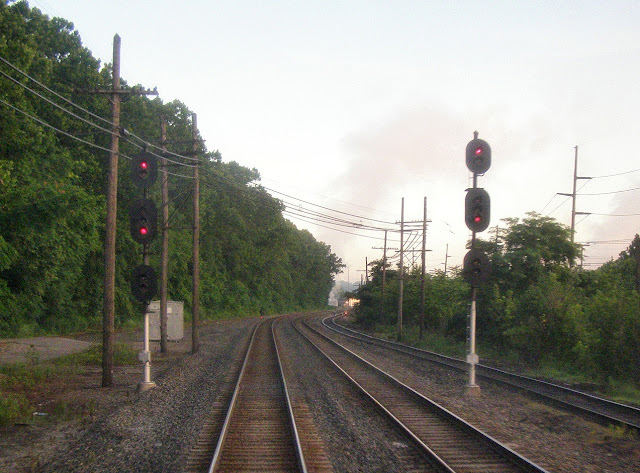 At that point the decision had still not yet been made to completely phase out the C&O signal rules so the new Darth Vader signals installed at RU and RACELAND interlockings were both of the C&O style. As seen at FOSTORIA, I believe the placement of a red lamp in the middle of the lower head was to allow for R/Y/R Slow Approach or R/R/G Slow Clear without using a third head, but I've seen no direct evidence of this. 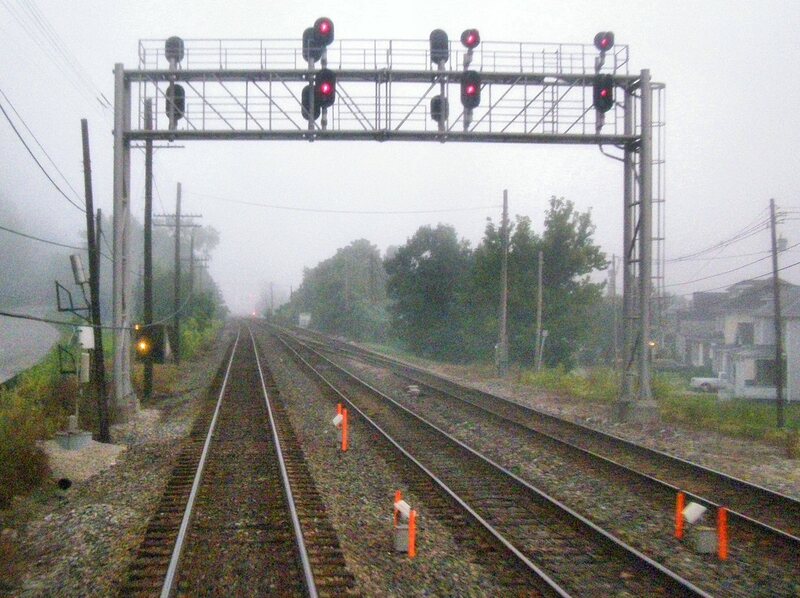 Moreover, NC CABIN, one interlocking east of RU, was re-interlocked with the existing signals left in place, sort of like as was done on the B&O Philly Sub and on many other rail lines before the cost of labour to splice and test overtook the cost of new signals. 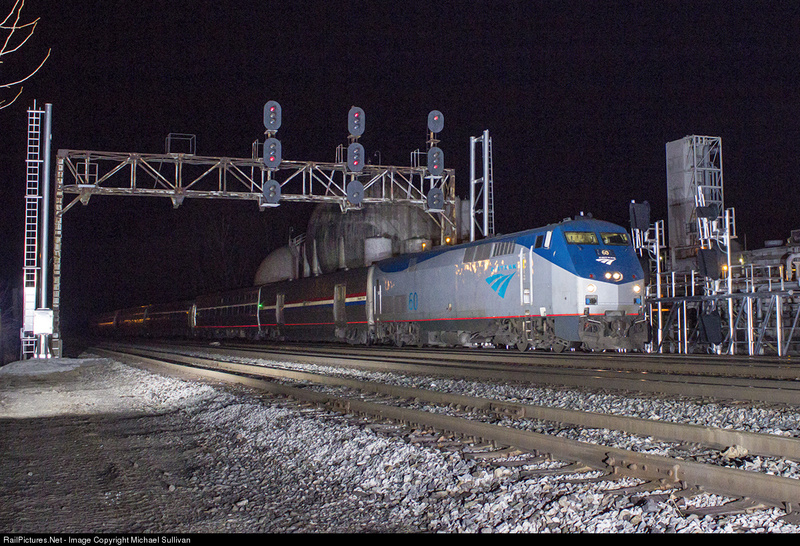 NC Cabin westbound C&O masts. Anyway, I guess someone had to spend a capitol improvement budget or risk losing it and with nothing left to re-signal, this island of the C&O was the only available target. No word on if RU CABIN and its C&O Darth Vaders are also being modified, but I wouldn't be surprised. If you happen to live in the area both RU and NC are a must see. Thanks for the wonderful piece of article which simply describes us about how and in what ways, the railways and tracks are being maintained in other countries of the world. Even my custom research writing paper office colleagues too using the train as mode of transport for their daily travel purpose. They will complaint me about the drawbacks of train journey but, on reading this, only i have been able to came to know about the so many people's hard work lying behind the railways. Innovative technology is required in the modern market and this article leads towards the same.